There really has been no great reference available (until now) for people who are interested in million dollar homes in Tallahassee. 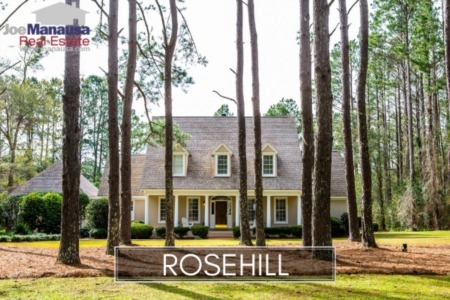 You can use most property search tools to see what is on the market, and you can occasionally find a report on high end homes, but where do you go to see an analysis of the rarefied homes that sell for a million dollars or higher in the Tallahassee real estate market? Well, today's article can be a good starting point. I have been concerned for the top of our market for quite some time, as luxury homes for sale are doing very well, despite the rest of the market continuing to struggle along. While this is good news for million dollar home owners, I think it might be masking a growing problem in Tallahassee. As I continually study the forces that drive the Tallahassee housing market, I look to economic drivers (jobs and job creation) and do not see anything that says Tallahassee is booming or that there is a solid growth of the types of positions that compensate to the level that million dollar homes require. 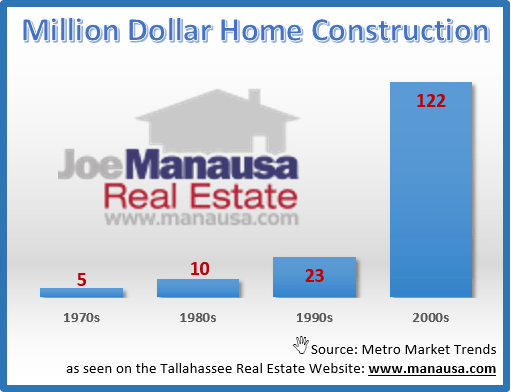 But take a look at the current production of Tallahassee luxury homes for sale. This list includes homes that have been sold and recorded in the Tax records, so there are those not accounted for if only the land sale was recorded. When I look at the explosion of these homes in the past 15 years (zero homes have been built and sold between 2011 and 2014), I have to wonder who is going to buy them. Sales have been steady over the past few years, but I suspect it has a lot to do with interest rates hanging around historical lows. 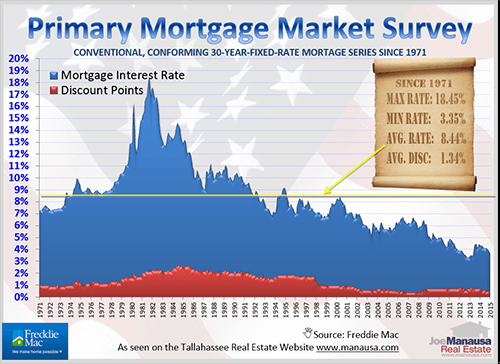 Take a look at historical interest rates to see just how low they really are today. I do not think it is a coincidence that million dollar home construction began to soar when low mortgage interest rates (cheap money) became available. Right now, you can borrow money at 1/2 of the 50 year average rate. This (I believe) is what is buoying the high end of the market. If mortgage interest rates return to normal (or worse, above normal), the amount of million dollar home buyers will be cut by more than half. So to whom will today's million dollar home buyers sell their homes when this happens? The amount of million dollar homes for sale is going to force Tallahassee to grow, or we will likely see a lot of losses "at the top" in the coming years. This is a list, going back to 1991, of homes that sold for $1,000,000 or more. 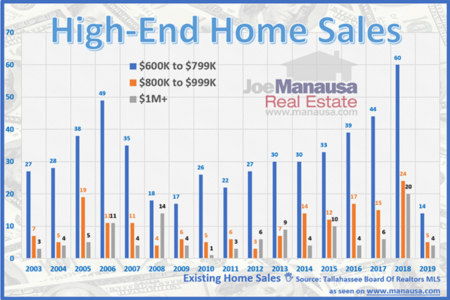 I hope you enjoyed our Million Dollar Homes Report, if you would like to know more about the high end market in Tallahassee, please give us a call at (850) 366-8917 or drop us a note if you have questions you would like us to answer. 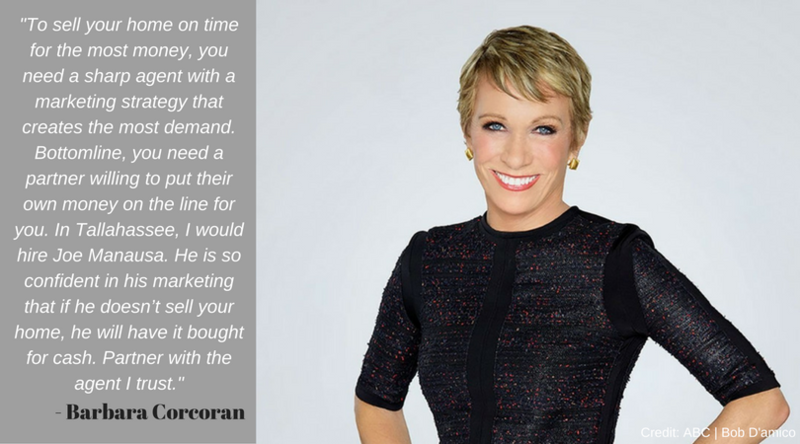 Are you in the market for buying or selling a luxury home? Here's what people are saying about working with Joe Manausa Real Estate, you can see hundreds of real customer reviews reported on Google, Facebook and Zillow right here: http://www.manausa.com/testimonials.